Homebusiness securityGadgetsSafetyShould You Buy a Biometric Safe? Should You Buy a Biometric Safe? It sounds like something out of a sci-fi movie. A safe that reads your unique fingerprint and allows instant access for authorized users. Today, the technology is not only real but widely available as a means of securing your valuable items. Is it right for you? Every human body is made up of unique biological systems that are different from anybody else’s. The practice of reading and quantifying these differences is known as biometrics. Biometrics can include a number of different measurements, including the shape of your face, your fingerprint, a UV scan of your blood vessels, and even a movie-style retinal scan. For practical reasons, the majority of biometric scanners available operate by reading fingerprints. A biometric safe is a quick-access security system that measures your fingerprint. It provides immediate access for an unauthorized user but doesn’t allow others in. Like any other safe, biometric safes are used to secure valuables and protect them from damage and theft. These items may include personal documents, items of value (such as gold or silver), computer hard drives, or anything else you would want connected and kept private. Biometric safes are especially popular for gun owners. Some reliable brands include Sentry Safe, GunVault, and Vaultek biometric safes. Unlike most of the other items listed above, a firearm may need to be accessed immediately with no delay. The biometric scanner will immediately open when needed, saving the owner from fumbling with a keypad or other manual locking system. The unique locking system provides a good measure of speed and security. For instance, a biometric safe can be programmed to recognize all responsible adults in the house to give quick access in case of emergency, while keeping out children or prohibited persons. As we covered above, a safe with a biometric locking mechanism has some unique advantages. Digital scanners work very quickly, so they provide immediate access when needed. By recognizing a large number of fingerprints, you can enable many authorized users whom you trust to gain access to the contents - no need for them to memorize a combination or carry a key around with them everywhere. Speed is really the deciding factor in choosing to buy a biometric safe. If you want to be able to access the contents very quickly, the biometric safe is a good choice. On the other hand, there are downsides to consider before choosing a safe with a biometric locking system. The most obvious is cost. Even “cheap” biometric safes are much more expensive than conventional locking systems, and the cost only goes up. This can be a significant barrier to entry, especially if you’re storing a handgun for quick access and could end up paying almost as much for the safe as your handgun! Relative to other safes (especially in a similar price range) biometric safes tend to be relatively flimsy and easy for a dedicated person to break. They are great for keeping out unauthorized users around the house, but an experienced thief would have no trouble breaking into many models which are constructed of thin sheet steel and simple locking systems. More robust systems do exist, but they are comparatively very expensive. Finally, there is always the question of reliability. Do you trust electronics and the batteries they require to run? Do you keep them clean and well-maintained? What happens if you have to access the safe and your hands are covered in sweat, dirt, even blood? 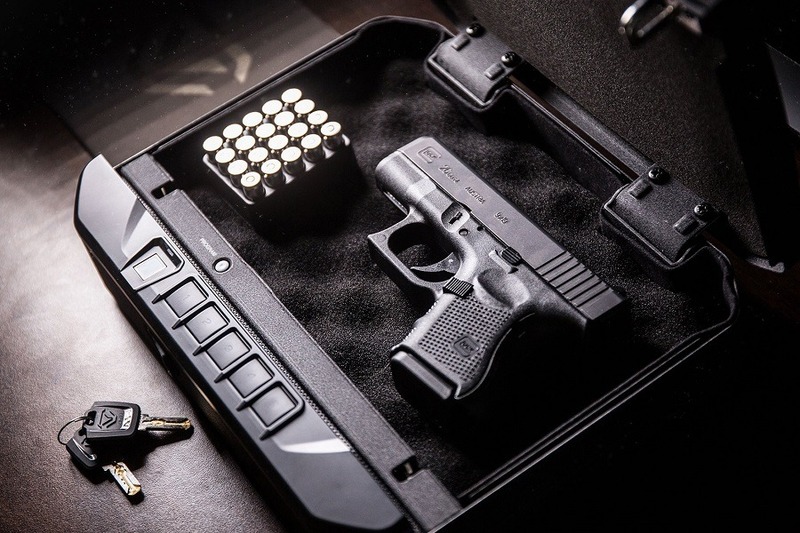 A user should definitely stress test their biometric safe in different conditions to be assured of the reliability if they are using it to store defensive items such as firearms. In addition, they should be kept clean and well-maintained with the batteries changed at regular intervals. When it comes to securing your valuables, there are many options. Biometric safes are highly technologically advanced, but there’s something to be said also for the simplicity of a mechanical or electric keypad lock also. Consider a biometric safe for unparalleled quick access, but remember to maintain it and test it under different conditions to be sure it meets your needs.